"What a fun adventure," sweepstakes winner Ken Palke told Destination Irvine. "We can hardly wait." Palke is one of 12 lucky winners of the Destination Irvine Rose Parade Sweepstakes, who will indeed "Find Your Adventure" at the 127th Rose Parade on Jan. 1, 2016. The trip includes round-trip airfare for four, three nights at an Irvine hotel, and transportation and grandstand seating at the 127th Tournament of Roses Parade. Winners hail from Amory, Miss., Aurora, Colo., Grove City, Ohio, Keizer, Ore., Boise, Idaho, San Angelo and Brenham, Texas, San Jose and Sonoma, Calif., and Williamsville, Shandaken and Mastic Beach, N.Y.
Destination Irvine got to know four of the winners a bit better and they graciously shared their stories. 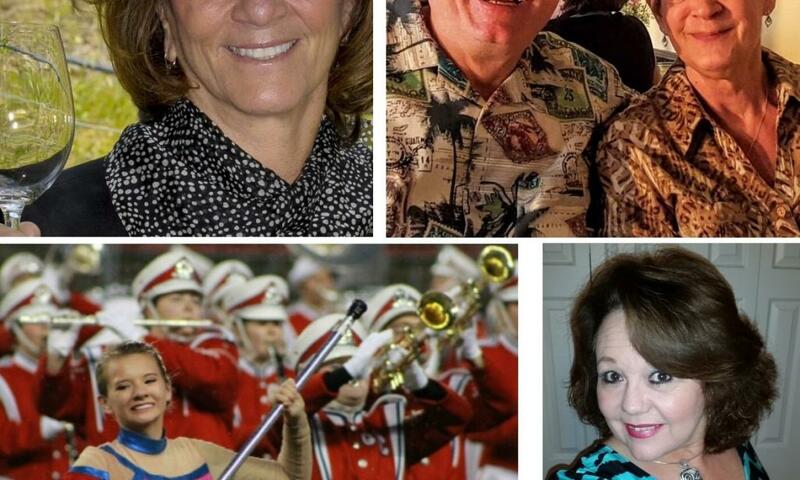 While all four are Rose Parade fans and watch the broadcast every year, only two have seen the parade in person before. Palke, who lives in Keizer, Ore., was 8 years old when he saw the parade in 1956, but watching it on TV has been a tradition for decades. "For years as a kid growing up in Los Angeles and Torrance, we watched the Rose Parade on black and white television, with announcers such as KTTV&apos;s Bill Welsh busily describing all the different flowers, plants and colors on each float," he said. "Later, we got a color TV and continued the family tradition of New Year&apos;s morning with breakfast trays and the parade, which really seemed to come alive in full color. I&apos;ve lived in Oregon for the last 35 years and the Rose Parade is still an important part of every January 1st morning. "I haven&apos;t been to the Rose Parade since I was a young kid, but I&apos;ve watched it on television nearly every year since. I&apos;ve always been fascinated with float selection, construction and back story, Palke shared. "We lived in Los Angeles and I went with my Mom, Dad and littlebrother, John. It was very early in the morning, chilly but clear in Pasadena. As a kid it seemed like we waited forever in the crowd for those bands, horses and floats to come along. The excitement of the crowd swelled as the floats drew nearer. "What a thrill for a kid-the sights, sounds, and smells. My television heroes of the day, Roy Rogers and Dale Evans, rode by on a float and Wild Bill Hickok (Guy Madison) and Jingles (Andy Devine) with buckskin fringe flying were on horseback. It felt like all those stars were waving at me. What a treat for a kid. In the following year or two, we went to Pasadena after the parade to see the floats on display at a nearby park. My folks enjoyed the flowers and we kids loved the cool float designs." 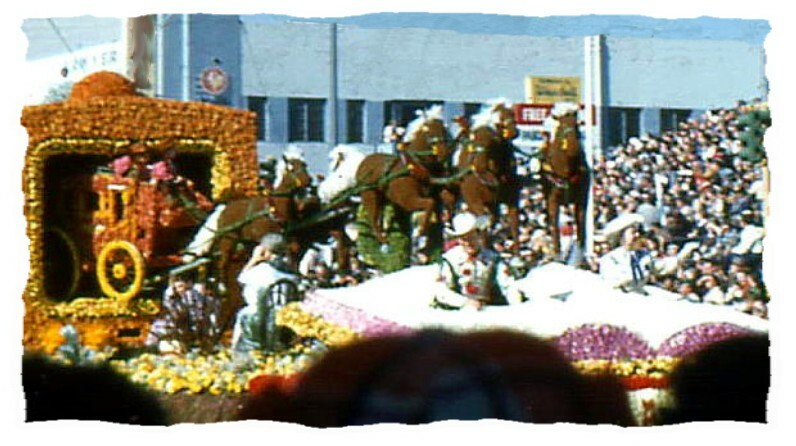 Palke sent a photo of the Roy Rogers and Dale Evans float, with them sitting in a book and a stagecoach leaping out of a television set. Palke is bringing his wife Pam and two grown and married sons, Darrel and Kevin. "We drew straws among the children to see who could go, and the two boys won. They are very enthused about the trip," he said. "We&apos;re looking forward to spending some family time in Orange County, including lunch at In-N-Out Burger in Irvine (we don&apos;t have one in our part of Oregon) and a visit to the surf and sand at Seal Beach and Newport. "I&apos;m hoping for a bright, clear winter morning in Pasadena. Along with the parade, it&apos;ll be fun watching the spectators and background activities that aren&apos;t captured on television. Plus we&apos;re getting a ride to and from the parade and grandstand seats, so there&apos;s no worries about that. It will be fun to compare notes and observations with my wife and sons during the big event." Patty Daffurn of Sonoma, Calif., went to the Rose Parade as a small child and again as a teenager. "Northern California has been my home for 50 years but my dad was stationed in the Air Force so we traveled a lot and were at March Field in Riverside when I was 7 years old," she said. "I remember going to Pasadena to watch the Rose Parade and walking over to look at the floats afterward. I couldn&apos;t believe everything was made from flowers and plants." She added, "I have made it a tradition to watch the parade every New Year&apos;s Day whenever possible or would record it to watch later. I am sure this opportunity will bring it alive for my grandchildren. They won&apos;t believe the floats either." After an assignment in Madrid, her father was reassigned to March Field and she stayed in Southern California from 10th grade through two years of college. "I consider those years to be some of the best-beach life, great music and Disneyland with A to E tickets! And of course, there was the Rose Parade. My friends and I would go over on our own and many times we went the night before and just wandered around the floats and then stayed up all night sitting on the sidewalk along the parade route. It never rained that I remember and we always had a great time." 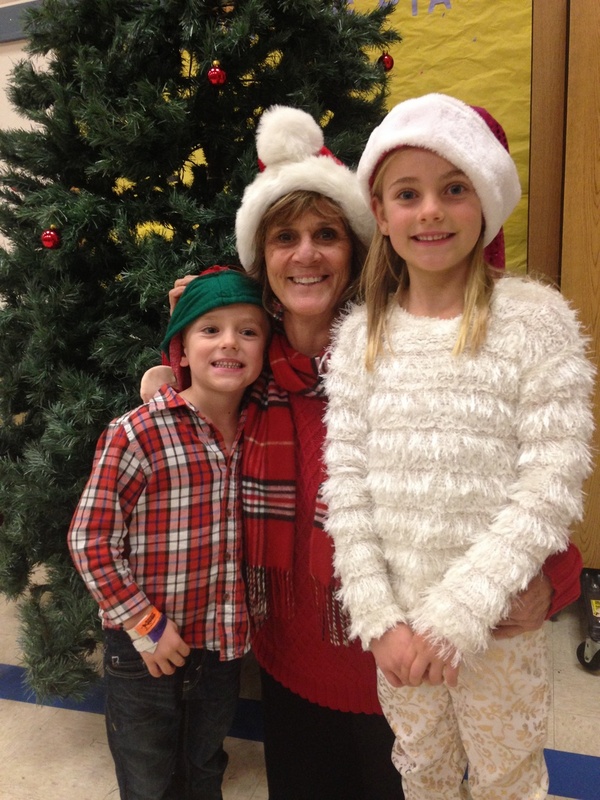 Daffurn is bringing her daughter Lauren, son-in-law Steve Simpson, and grandchildren Mia, 8 and Preston, 5. One of her sons lives in Venice Beach and will meet them and perhaps come down on New Year&apos;s Eve. The family has extra activities planned for their stay. "We have reservations for the Newport Beach Christmas boat parade and have dinner reservations at Enoteca on Fashion Island. We may go over to look at the floats being built or may go over to Downtown Disney, or who knows. We have rented a minivan so we can explore the beach areas if the weather is good." 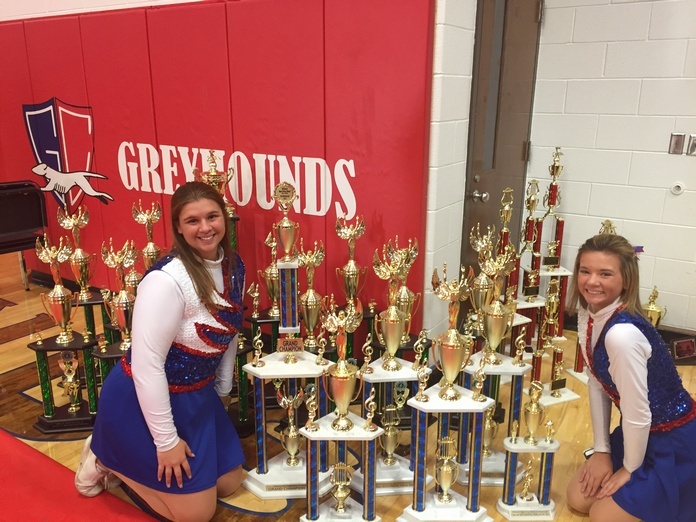 For Danielle Greco and her younger daughter, the trip will be a chance to scope out the parade for 2017, when her daughter will travel with the Grove City, Ohio High School band. The 230-member band has won numerous awards, including the National championship and a trip to the Fiesta Bowl in 2012. Her older daughter has been in it for four years. She said, "This is my daughter&apos;s first year to be a part of this awesome band. So far she enjoys it very much. She knows its hard work but well worth it." The young lady is part of the color guard and is also in winter guard. "We normally watch the parade every year," she continued. "Actually being there to see it live is going to be so exciting and since I have never been to California it will all be a great experience. I don&apos;t even know what we are going to do. We are thinking just to have a relaxing few days on the beach." 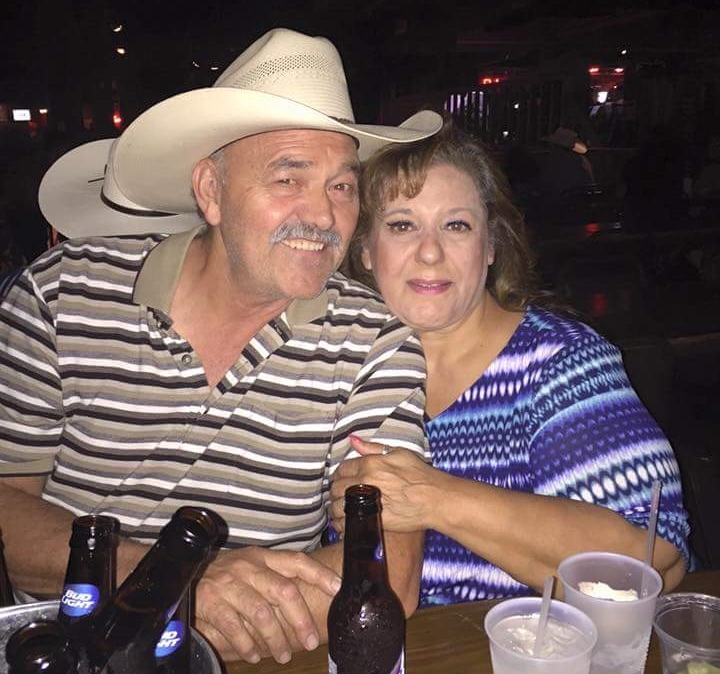 Hope Munoz Stephens, from San Angelo, Texas, will celebrate her birthday on New Year&apos;s Eve with a friend and her brother and sister-in-law. "I always watch the New Year&apos;s Parade. Even as a child, my dad would wake us up to watch it. I have never seen it live. I&apos;m so excited! I&apos;m going to be in California, so I&apos;m sure there is lots to do for my birthday. It is an awesome gift. We plan to visit family and friends while we are down there. I&apos;ve been to other parts of California, but not there." Stephens is bringing along her brother Paul and his wife Virginia, in the photo at left. Her friend Yolanda will join them. When they found out that they were winners, each of the four had pretty similar reactions: surprise, disbelief, and whoop-dee-do! Stephens said, "I was so excited, at first I thought it was bogus, but then, I kept talking to the lady on the phone, and found out it was a legit trip, and was so surprised. It was hard to believe that I was one of 12 out of 900 entries that won the trip. I can&apos;t wait to see all the people, the floats, the city itself, I&apos;m at awe about the whole thing. Thank you so much, it will be so much fun!" Daffurn also thought there might be a catch. "I could not believe that I had actually won the trip and of course, the first thought was that we would be doing some timeshare program to go with it. We are delighted to spend time in the Irvine/Orange county area instead. We are all very excited and can&apos;t wait! I never win contests so I was totally blown away." "I honestly did not think it was true," Greco said. "I emailed Wendy [Haase, Director of Tourism Marketing for Destination Irvine] asking many, many questions. Nothing this wonderful ever happens to me. Both of my daughters were very excited they also didn&apos;t believe it. But when we got the confirmation for the hotel and air flight we were all dumbfounded and very excited." Palke said, "I was pleased at being one of the dozen persons selected at random. It took a minute to sink in when I got the announcement, but then I broke out in a smile and let out a big ‘Yippee.&apos; It was just like being that kid again. I&apos;ve never won a drawing before, and to receive an expense-paid trip to Irvine and the Rose Parade-that&apos;s wonderful! A New Year&apos;s Day Rose Parade visit has been on my bucket list for years, so this is special, a dream come true, you might say."